Most of us are well aware that our phones are particularly susceptible to summer heat. But, we must also consider our poor refrigerators and freezers! Think about the difference on their load during the summer months. Even if you use air conditioning, you likely keep your house several degrees warmer in the summer (at least you should!). Right off the bat, that means your refrigerator and freezer work harder in summer months. 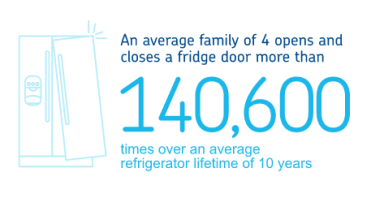 An average family of 4 opens and closes their refrigerator door more than 140,600 times over this appliance’s average lifetime of 10 years. During summer, cookouts or other events mean lots more door opening and closing, or more large quantities of food to be cooled down. If your fridge stays over-full in the summer, you may also run out of space for adequate air circulation. Dust (and even better, vacuum) the coils under your fridge. If you have dust build up there, it makes it harder for your fridge to work well. Realize that a fridge or freezer in a garage or on a porch likely won’t have the lifespan of one kept in a fully temperature-controlled environment. To cool food faster before refrigerating (and even once in the fridge), portion it out of the hot dish you baked it in and into smaller containers with 2” or less of food. And the big one, don’t leave the door standing open. Decide what you want before you open the door, and get it quickly when you do. 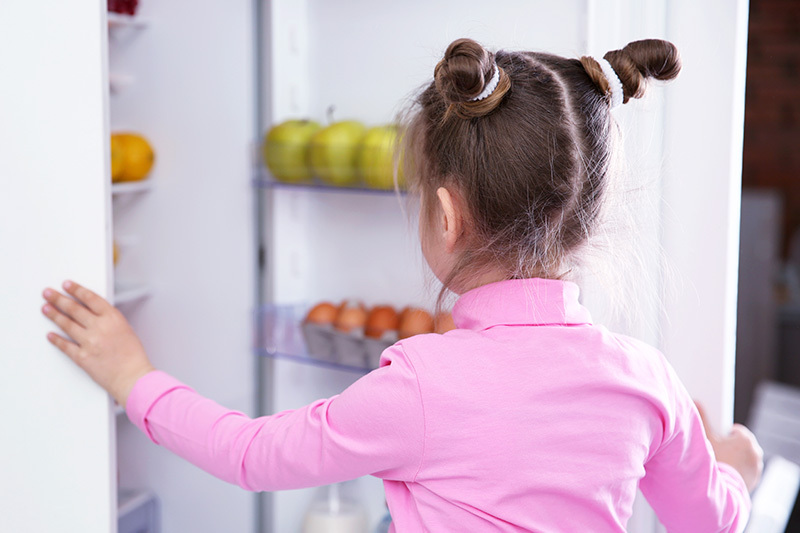 Asurion notes that *refrigerators have more breakdowns in the summer, especially July, than at any other time of the year. The most common failures involve the ice maker, evaporator fan and seals. Therefore, product protection is always worth it. Find out more about home appliance insurance and extended warranties at Asurion.com, for varied issues including normal wear and tear and even food loss when it comes to refrigerators and freezers (for most plans).